Chelsea Garrod sustained a fractured spine and substantial permanent nerve damage after she jumped into a foam pit at a Kelowna B.C. trampoline park. After her fall, eight-year-old Chelsea was in considerable pain and could not feel her legs, and had to be airlifted to a nearby hospital. Several recent news reports, like the Chelsea Garrod case, have drawn attention to the significant risk of injury, particularly for children, at trampoline parks. Certainly, trampoline-related injuries are not as uncommon as you might think and further, such injuries are not confined to trampoline parks. Since their introduction into the Canadian recreational market, backyard trampolines have frequently been associated with serious injury to children. On October 5, 2018, CBC News reported that Saskatoon hospitals noticed an increase in visits to their emergency room following the opening of the City’s first indoor trampoline venue. Children and teens were over-represented among patients and the most common injuries involved sprains and broken bones. Trampolining also sometimes results in catastrophic injuries, particularly serious spinal injuries. Two young adults, Blake Davies and Landon Smith, became paralyzed last year after being injured at Ontario and Alberta trampoline parks, respectively. 18-year-old Blake was doing flips at a Hamilton trampoline park when he landed on his head and fractured his C7 vertebra, causing him to become paralyzed from the chest down. The young man had grown up with a trampoline at home, but his trampolining experience did not prepare him for the tragic accident that changed his life. Children and youths are not the only ones being injured. A 46-year-old man, Jay Greenwood, sustained fatal injuries at a B.C. trampoline park, while in the company of his 2 daughters. After visiting 12 trampoline parks throughout Canada, CBC Marketplace reported that trampoline parks appear to be doing little to reduce the risk of injury to children and others, since park employees generally did not intervene when patrons broke the rules or were engaged in unsafe actions such as flips or jumping head first. Another likely reason why the risk of injury is higher than it should be at these parks is that, although there are voluntary standards for trampoline parks, these venues are not regulated in Canada. Although parks typically have padded walls and floors and other infrastructure to protect users from injury, there can be significant differences in protective materials such as the thickness of foam pits. Foam pits can be 3 feet thick, 6 feet thick, or whatever is deemed adequate by the park, and a less insulated foam pit clearly presents a higher risk of injury. A recent Canadian Paediatric Society (CPS) study of trampoline injuries looked at backyard trampolines and trampoline parks, and concluded that trampolines in general pose a substantial risk of injury for children and the occurrence of injuries has been increasing. In fact, for some years, the CPS and the American Academy of Pediatrics have advised against the use of backyard trampolines, which all-too-often result in serious injuries such as spinal fractures and forearm injuries. With the knowledge of the substantial risk of injury, Health Canada published safety tips and warnings for backyard trampoline use, last updated in 2006. In a comparison of injuries at the two venues, the CPS study found that sprains are the most common injury at trampoline parks, and injuries most often occur upon impact with the trampoline bed. By contrast, soft-tissue injuries and lacerations are the most common injuries sustained on backyard trampolines, but traumatic brain injuries and fractures also happen more often on backyard trampolines than in parks. Fewer studies have been conducted on trampoline park injuries and it is yet to be seen if these venues are deemed equally dangerous. Certainly, users are advised not to perform stunts such as somersaults, which carry a much higher risk of injury, notably cervical spine injury. The upsurge of debilitating injuries at trampoline parks is unquestionably related to the huge increase in the number of trampoline parks worldwide in the past decade. Nevertheless, the absence of universally accepted safety standards is a likely factor in the frequency of injury. In United States in particular, there have been a number of lawsuits brought against trampoline parks after a child or another family member was injured due to an unsafe condition. 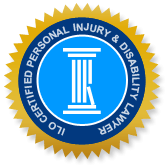 One case involved a teen who sustained a traumatic brain injury at a Texas trampoline park, and in February 2016, a jury awarded $11.5 million to the accident victim’s family on a finding that the park was grossly negligent. Several similar lawsuits are underway in Canada, including the Landon Smith case – the 19-year-old is suing an Edmonton area trampoline park for failing to provide a safe premises, after he broke his neck on the concrete floor under the foam pit, causing him to become paraplegic. If you or a family member were seriously injured at a recreational venue such as a trampoline park, call an experienced Hamilton injury lawyer to get an honest assessment of your case and find out what's involved in filing a successful injury claim. Or, if you reside elsewhere in Ontario and were injured due to an unsafe condition, call one of the respected Injury Lawyers of Ontario (ILO) lawyers in your community to help you get the compensation you deserve.